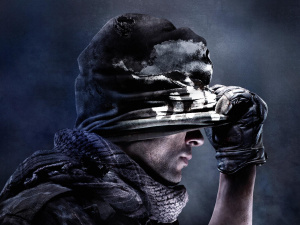 "This is obviously a big year"
There has been a lot of confusion surrounding Call of Duty: Ghosts, the latest in Activision's long-running franchise. Nobody seems to definitively know if it's coming to Wii U or not. When it was announced in early May, the publisher did not mention Nintendo's home console, however, since then several media outlets have listed Wii U as a platform and GameSpot recently did the same. Whether it comes to Wii U or not, it'll definitely be on show at this year's E3 as Activision has confirmed it's bringing it along for the ride. Well, it would have been a bit weird without it really - an upcoming Call of Duty title is starting to become a regular part of the expo nowadays. One title we do know is coming to Nintendo systems is Skylanders Swap Force. It's down for a Wii U, 3DS and Wii release and will be playable at E3. Call of Duty: Ghosts will also be playable but Activision's third title Destiny - developed by Bungie of Halo fame - will only be shown off to the masses. This is obviously a big year - not just for Activision, but for the entire industry. There's a console transition coming and naturally, everyone wants to see what new possibilities that will unleash in the games. We remain laser focused on delivering the things we know our gamers care about most: great gameplay, immersive worlds, and cool innovations. And that's what our amazing lineup at E3 this year will deliver. 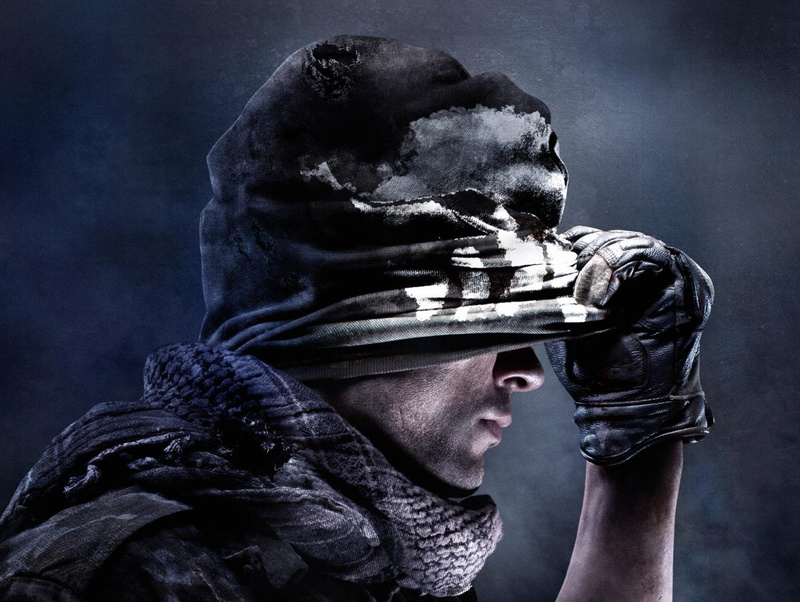 Perhaps we'll find out once and for all if Call of Duty: Ghosts is a Wii U title or not. Only time will tell. What are your thoughts on Activision's lineup? Sound off in the comment section below. Destiny is the game i hope comes to wiiu same has dark souls 2. I will buy Call Of Duty Ghost if it comes to Wii U. I haven't played a COD game since 2005. It was the first COD that I borrowed from a friend. More than two cash cows. Are we forgetting king cash cows such as Mario and Zelda? Keep #CallofDoggy away from Wii U.
Mario and zelda aren't cash cows. They have numerous sequels. But in again they have been around for the last 30 years nearly. There were 3 mario games and 2 zeldaa on wii in 7 years and those ranked in the top ten for most of that time and critically Scored high 90%'s. not exactly. Call of duty has had 6!! Iterations alone in the last 7 years. Annually spitting out the same game with virtually no upgrade is a cadh cow. Continuing a long standing franchise to the level of quality that most companies can only dream to achieve is just the mark of great craftsmen and a sound business model. EA, activision, rockstar. These are cash cow culprits. Saying that, I would buy call of duty ghosts on day one only if it appears in the eshop. Black ops II was ok and now battlefield has been cried off by EA, Ghosts would clean up with Bertie wanting an online FPS. "Black Ops II" is a terrific game and worthy of any Wii U games collection. But it was made by Treyarch, responsible for all CoD version on the Wii, so even if I am a fan, I will be slightly cautious with whatever Infinity Ward puts on the Wii U. No question about it's brilliance, but the bar as been set pretty high by Treyarch's side of CoD. Looking forward to a definitive Wii u confirmation at least. E3 is almost here i cannot wait to see the PS4 & Destiny gameplay, i wonder if we'll see MGS5, Kingdom Of Hearts 3 & what ever Naughty Dog has been working on. @DESS-M-8 Can you clean up your paragraph to make it understandable? Thanks. As mainly a Ninty and handheld player, my experience with CoD was limited to the first title, a couple of DS games, and some local multiplayer at my bro's. But with BO2 I finally understand what the fuss is all about with CoD: it's a great game with greater multiplayer. I'm actually crossing my fingers for a Ghosts release on WiiU!!! as much as i hate CoD, it sells like hotcakes. bring it to wiiU, people can't say it has no games. I love call of duty,great game hope its announced for wii u! @DESS-M-8 - "There were 3 mario games ... on wii in 7 years "
Keep in mind those are the ACTUAL titles of actual Wii games, I'm not making stuff up. Nintendo uses Mario to sell everything, if that isn't milking the "cash cow" I don't know what is. I'm interested in Swap Force... sounds like it could be interesting. @rjejr Nice to see someone else who thinks Mario is a cash cow. How about Destiny actually release on Wii U? Am I the only one who'd like that? Why not lists all the Mario games coming to 3DS as well. I mean, WOW! Treyarch is likely to handle the Wii U port. That is if one truly does exsist. I'm hoping Destiny comes to Wii U, but I won't hold my breath. That's a lot of Mario games. I think I have four of those and I thought THAT was a lot! They'll probably wait until 2 months before the game comes out and then announce COD is coming to Wii U but Treyarch will be porting it over because Infinity Ward deems anything Nintendo, second rate. Still looking forward and praying anything I just said is false and it actually gets attention and can take advantage of Wii U specific features and graphical power. DLC better come to Wii U this time. "This is obviously a big year"... of copy and paste cash cow games. @rjejr I believe he was referring to the core Mario games, i.e. platformers, of which there are three on the Wii. I don't really care about whether CoD comes to Wii U. I won't play it. @rjejr Those are entirely different games where he's used as a mascot. That's like saying Tom cruise is a cash cow because he made 4 mission impossible films, and he was in last samurai and oblivion and top gun. How dare a company use their mascot in more than their own game. No, all the titles he gave are valid. You don't even know what a cash cow is. It's not even a negative term. Mario isn't a product or a unit. How the hell is super smash bros a mario game??? Spectrum of different genre mascot titles is just ridiculous. You give it up. If you don't like Nintendo games why are you Or disagree with Nintendo as a format, why are you a member of a wii u site? @DESS-M-8: Please calm down and stop with the insults. We don't require that everyone here follow the Church of Nintendo or anything, we just ask that everyone be civil toward one another during discussions. Thanks in advance! It has nothing to do with liking or not liking Nintendo games. Here's your problem... your made up definition of 'cash cow'. Your quote - "Annually spitting out the same game with virtually no upgrade is a cadh cow." Here is the definition I gave you. My quote - "In business, a cash cow is a product or a business unit that generates unusually high profit margins: so high that it is responsible for a large amount of a company's operating profit"
My (copy paste) definition can be found. Yours cannot. It's not a negative. It simply means a particular product that does unusually well, in relation to other products of that business. Mario, and Mario related games do this. Individually and/or as system sellers, which actually compounds it's cash cowishness. No. The term cash cow was being used by you definitely as a negative and lumping long standing franchises in with games that are annual sequels such as call of duty. Regardless of where your found a definition of cash cow, that definition is irrelevant to your initial statement as your original point was that call duty was being slammed as being an exhausted repetitive update, to which you added mario and zelda. Furthermore, games like mario galaxy don't sell "unusually well" the sell Very well as they are continually rated as some of the greatest innovations and generally greatest games ever made by critics and consumers. Games such as mario party don't sell anywhere near aswell because they are as good. If they all sold unusually well surely the lesser titles would be up there with mario galaxy? You are so confused it's not even funny. And hypocritical, and sticking with your bogus definition. Ok. Finally, quality of a product is irrelevant. If it's a hot seller, there is zero wrong with making, and selling more. Wow, I've never encountered somebody is so relentlessly wrong. You're exceptional, seriously. I'm not referring to my definition, I know the definition of a cash cow, I was referring to your initial definition of a cash cow that you have now quickly abandoned and changed your point. So well done for contradicting yourself and agreein with me that your initial comment was wrong. @rjejr So we can expect these games based on the Franchise? That will be interesting. Call of Duty: Let's stop fighting and have a party! @dumedum EXACTLY my point of why Midnight3DS was making a pointless point. Call of Duty: new leaf would be good though, dealing with the reparations after a war, finance compensations and oil rights for the winners. With the dark undertone of arms deals for a resurgence after leaving occupation of foreign lands. Hell you could have Super Toadstool: Peace Ambasador where he does the same jobs but as a go between for Bowser and Mario. My point isn't on cash cow, DESS changed the point around. Here's the quote again: = "There were 3 mario games and 2 zeldaa on wii in 7 years and those ranked in the top ten for most of that time and critically Scored high 90%'s. not exactly." 3 Mario games. How can you say a game w/ the name Mario in the title and the character Mario in the game isn't a Mario game? SSBB was separated from the list b/c Mario's name isn't in the title, but his name is in the other 14 titles and he is in the game. Saying they aren't Mario games doesn't mean they aren't Mario games. That's like saying all the COD games are different games b/c they all have different tiles - COD1, COD2, COD3 etc. See, they are all different games now. Edit: Now that I think about it there is only 1 Mario game on the Wii. SMG and SMG2 aren't Mario games b/c they are in open worlds and only the 2D Mario games count as Mario games so we are both wrong, not 3, not 14, there is only 1 Mario game on the Wii. Mario galaxy and NSMBWii are platformers and by definition are mario games. By yours, Super Mario 64 and Sunshine aren't mario games. Any game that is another genre but features mario as a playable character isn't a mario game. @DESS-M-8 - "Mario galaxy and NSMBWii are platformers and by definition are mario games." By whose definition, yours? So whatever you say is a Mario game is a Mario game and whatever YOU say is NOT a Mario game is not a Mario game? Sorry, I didn't realize I was having a conversation w/ Shigeru Miyamoto. My apologies Mr. Miyamoto. "Any game that is another genre but features mario as a playable character isn't a mario game." Any game that FEATURES Mario as a PLAYABLE character is NOT a Mario game? It's called pointing out the tired hypocrisy and misuse of the term. Your semantics of what a Mario game is or isn't fails you. By the way, why is Mario's name in the title of all these games? You both argued that mario games are akin with CoD titles. As "Mario" games span over numerous genres, It is comparable to CoD. You BOTH compared any game with mario in, which may aswell include Luigis Mansion to a single series of games, like CoD. Your point was about as relevant as saying the uncharted series and the last of us are the same thing as mario galaxy 1 and 2. This is more boring than explaining something to a 3 year old. @Midnight3DS Wasn't my semantics, it was comment on YOUR comparison. You made the comment and viewpoint. I merely pointed out how wrong, mis-guided and generally clueless you both were. They had better show a BUTTLOAD of information at E3. We have not had any news until the last two weeks... And no, that's not an exaggeration. In fact, said news composed of just leaks. To go back to the initial point of this section. Yes, I hope Call of Duty: Ghosts is announced for the Wii U, because of Battlefield 4 AND Ghosts are not coming to Wii U, that's a big slice of people that won't even consider a Wii U for the next 12 months. Plus, I'd like to play an online FPS, preferably Battlefield, but will have to skip till port it later so would definitely go for Ghosts this year. @SkywardLink98: I agree, SWAP Force does look interesting. I'm impressed with the slight tweaks in Giants to accommodate the use of larger Skylanders, so it'll be neat to find out how the SWAP Force characters work. COD Ghosts - Won't be one I will purchase. I have called it a day with COD after BOps2. Having had every COD game for Wii this is a tired and uninspiring format now. With the continuous omissions of DLC to refresh the titles for the Wii & WiiU which will no doubt continue if (and its a big IF) Ghosts comes to the WiiU, why waste £40 for the same ol same ol! i dont think i'll buy another cod game unless it comes out on wii u. i have mw3, and black ops 1&2 on ps3 and the only one thats good is blackops 1, but pretty much all the same. not buying ps4, dont like the soft, and wii u is what im sticking with. @rjejr There have been 6 Mario bros style games mario bros 1,2 & 3, mario world, new mario bros wii and wii u. There's been 4 mario evolution games: mario 64, mario sunshine, mario galaxy 1 & 2. That's ten 'mario' games in 25 years. Mario golf, tennis, olympics are sports games using mascots, mario kart is a racer, smash bros is a party battle game, mario party is a party game. 'Mario' games are platform games. If somebody says to you Super Mario you think jumping, blocks, boss fights and saving princess peach. You dot think tennis rackets and go-karts, unless you're being pedantic for the sake of making a negative pointless point?